The German carmaker, Audi has announced a 12-day long service programme which includes a complimentary 50-point service check-up, that involves servicing of the air-conditioning system, brakes and tyres, and will have offers on select spare parts and accessories. The service programme, that began on April 8, 2019, will be held in authorised Audi service stations across the nation. The customers can also avail offers on extending warranty as well as value added services. Audi is also offering an on-spot evaluation of cars and will offer an exchange bonus of Rs 1 lakh on purchase of a new Audi vehicle. On the announcement of the service programme, Rahil Ansari, Head, Audi India, said, "Customer delight is at the core of our strategy in India and we at Audi continuously strive to deliver the best aftersales experience to our customers. As extended summer holidays approach, we do not only wait for customers to indicate their service requirements but we also proactively support them in taking the best care of their prized possession for planning their excursions. 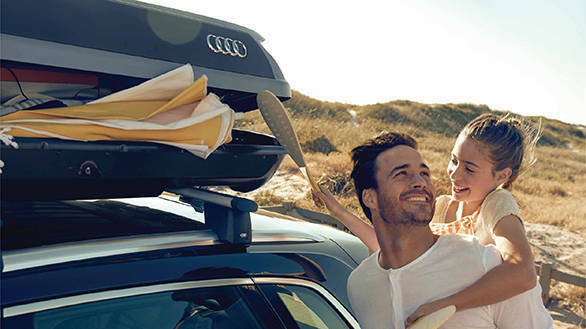 With our complimentary 50 point check-up and exclusive offers on select Audi Genuine Parts and Accessories, we are confident that our customers' cars will be at prime to plan a holiday trip with the family this summer season." "Keeping our global promise of Audi Service, we have ensured that a dedicated in-house team of service experts ensure that the world-class luxury and service standards that Audi customers are accustomed to, will be available to them with ease and transparency at all Audi authorised workshops," added Ansari.